The former capital but still largest and most cosmopolitan city of Kazakhstan. It's an essential stop on any tour of the country, though it doesn't itself offer that much of interest to the dark tourist, except for a few noteworthy monuments and Soviet-era relics. 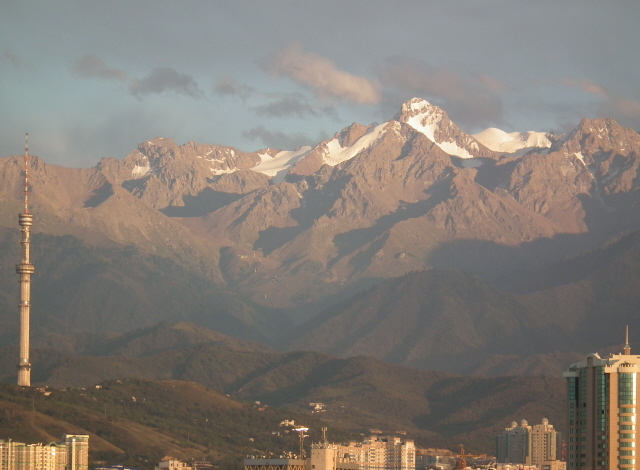 More background info: Almaty is the new name for the city that was formerly known as Alma-Ata in the Soviet Union – the city of apples, in literal translation. 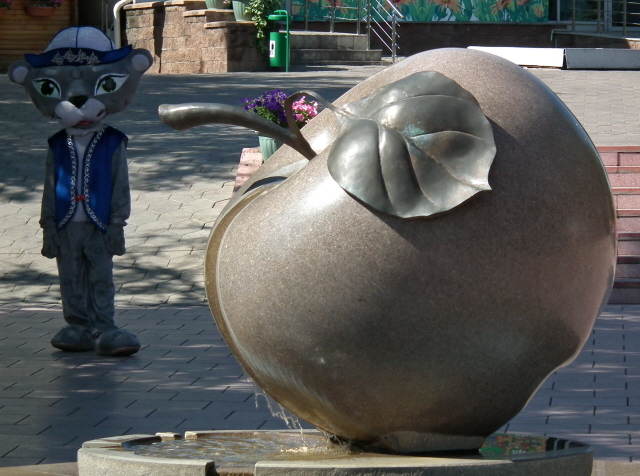 The reason for this is that the place was once famous for its big apples. Between 1929 and the collapse of the USSR Alma-Ata was the capital of the Kazakh SSR (having taken over that title from Kyzylorda further west), and remained the capital of independent Kazakhstan as well, until 1997, when that status was, again, shifted, this time to Astana (which in turn had used to be called Akmola). The city may have changed its name and lost its status as political capital, but it still is the economic and cultural capital of Kazakhstan. It doesn't have the flashy new architecture of Astana (which is being pushed to outshine Almaty on that front with big government money), but its location is unbeatably more attractive … visually, that is: it is nestled in the foothills of the snow-capped Tian Shan mountains that rise to well over 13,000 feet (4000 metres) just beyond the edge of the city limits – providing a dramatic backdrop that few cities in the world can match. However, it is also precisely this location that is sometimes quoted as one of the reasons why the capital city was moved north to Astana, which sits in flat, featureless steppes. For one thing, it's not far to the borders with Kyrgyzstan and China. And, perhaps, more importantly still: this is an earthquake-prone location. This was tragically demonstrated with particular violence in 1887, when a major quake more or less levelled the entire city. All stone buildings were destroyed, only wooden ones survived. This is the reason why you don't see many old structures in the city. One shining exception is Almaty's outstanding Cathedral of the Holy Ascension, which is reputedly the world's second largest structure built entirely from wood. It proved its earthquake-resistance on several occasions, including another major tremor in 1910. The opening of the TurkSib railway in 1930 gave the city direct connections to places as far away as Moscow, and its importance as a transport hub and trading post grew even further. During the socialist era, the city expanded, and many tall residential blocks of the typical prefab style sprouted up… allegedly built to be earthquake-resistant … luckily, though, so far no further earthquakes have tested the actual durability of these Soviet-era structures (cf. Gyumri). Since independence, the affluence of the new rich elite has found its expression in luxurious apartment towers and lower-level complexes of villas in gated communities. 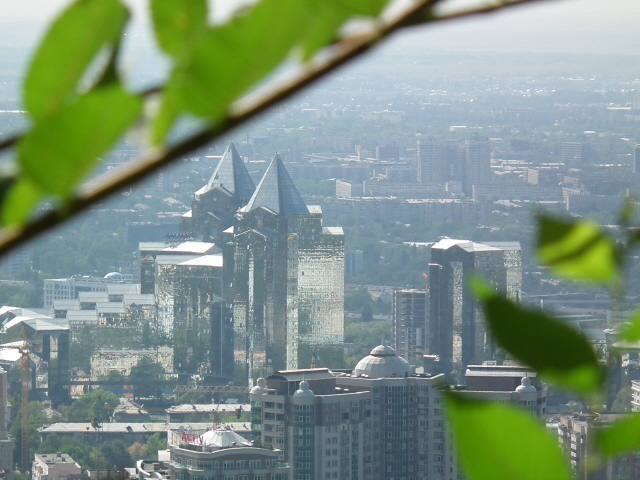 A cosmopolitan air is still retained since Almaty remains the seat of many international companies, making for a significant expat community. First, there is Republic Square, right at the southern end of the city centre. It was mainly here that the "December Events of 1986" ('Jeltoqsan' in Kazakh) took place: crowds of angry citizens protested against the dismissal of Dinmukhamed Kunayev and the appointment of a non-Kazakh, ethnic Russian, Gennady Kolbin, as the new First Secretary of the Kazakh SSR (a move that was in part intended to slow the advancement of one Nursultan Nazarbayev – who still made it to First Secretary and subsequently President only a few years later). The protests were violently crushed by Soviet forces and there were numerous casualties – though the figures regarding the number of people killed in the incident remain disputed. Still, it is seen as a turning point for modern Kazakhstan en route to independence. Hence the events and the "heroes" who lost their lives in them have been honoured since 2006 through the "Dawn of Freedom" Monument. This is to be found at the western end of the square, slightly set back, at the intersection with Zheltoksan Street. Apart from its fairly standard sculptured main part of a women releasing doves, two wing-like panels protruding from her back feature bronze reliefs with scenes of the violence of the December Events. Right in the centre of Republic Square stands the Independence Monument, one of the tallest in Kazakhstan, topped with a bizarre sculpture of a snow leopard with a man standing on its back (who looks a bit like the iconic Golden Man). More interesting than the main obelisk, again, are the reliefs on the bronze panels around it. These show scenes from Kazakh history and achievements, from war to heavy industry, and even a clunky impression of a Soyuz rocket taking off from Baikonur. Patriotic slogans adorn the top frieze of the large multi-storey blocks that flank the square. Opposite on the slopes rising gently towards the foothills of the mountains stand a couple of grand buildings, one of which used to be the Presidential Palace. The former House of Government (the ex-parliament), however, is located further north on the edge of Old Square – and it's a massive pile of typical Soviet grandeur, featuring five-pointed stars at the top of each of its tall front facade columns. Today it houses the Kazakh-British Technical University. In a park to the south of this stands a special memorial to two female local heroes of the Great Patriotic War (aka WWII), Manshuk Mametova and Aliya Moldagulova – the only two Central Asian women ever given the highest-level bravery medals of the Soviet Union (albeit posthumously). Probably thanks to their ethnicity their glory still lives on in post-communist independent Kazakhstan. By far the very best, most over-the-top of all of Almaty's Soviet-era monuments is the War Memorial in Panfilov Park. Now, this really is the ticket: it's dominated by an enormous sculpture depicting a group of oversized soldiers bursting forward from their massive plinth of granite wielding hand grenades and guns, and generally looking very fierce indeed. This grand classic Soviet war memorial also still has an eternal flame that hasn't been extinguished yet (as is often the case in the former Eastern Bloc). The old glory is further enhanced though soldiery reliefs and even a flowerbed in the shape of a five-pointed Soviet star – albeit not in red. Round the corner by the steps leading to the south-eastern corner of the park stands a very different kind of war memorial. This one is dedicated to the Afghanistan conflict and shows a group of soldiers looking anything but heroic, rather dejected and beaten. At the eastern end of the park a bizarre architectural structure rises high above some broad stairs. It bears another big Soviet star in the middle. This is supposed to be the Military History Museum – but since the Bradt guidebook to Kazakhstan said it's hardly possible to get inside I didn't even bother trying. Along the rim of Panfilov Park more Soviet-era statuary can be found. Apart from further war heroes (including Panfilov himself) there are also – typically – two items of weaponry, at the northern entrance, namely pieces of artillery, which today mainly serve to entertain local kids who clamber about on them. Easily overlooked but worth a quick look is the so-called Alley of Heads of State: it consists of two lines of trees planted on either side of the path between the war memorial and the Cathedral. Look closely and you'll spot small marble blocks at the bottom of each tree spelling out the name and country of the head of state in question who visited the park and planted the respective trees. More often than not, however, the trees have grown so much that you can no longer read the inscriptions. Amongst those still decipherable (if you can read Cyrillic, that is) are presidents of neighbouring countries but also from the Caucasus, such as Azerbaijan's Heydar Aliyev or the one-time president of Georgia and former Soviet foreign minister Eduard Shevardnadze. Treatment of live animals isn't that much better in the city's zoo (located at the far end of the large, kitschy, Central Recreation Park) – which is also "old-fashioned" in that it still has large beasts (tigers or bears, say) in tiny rusting cages and generally depressing conditions. The locals, too, still show the sort of behaviour towards the poor caged creatures that you wouldn't have seen in the West in half a century: throwing things at them, imitating their calls, laughing at them, feeding them junk food (ignoring all no-feeding signs) – all very unenlightened, disrespectful, obnoxious behaviour. Location: right on the south-easternmost edge of Kazakhstan, at the foothills of the Tian Shan mountains, on the other, southern side of which lies Kyrgyzstan. Astana, the country's new capital, on the other hand, lies some 600 miles (1000 km) to the north-west (as the crow flies – road or rail distances are greater still). 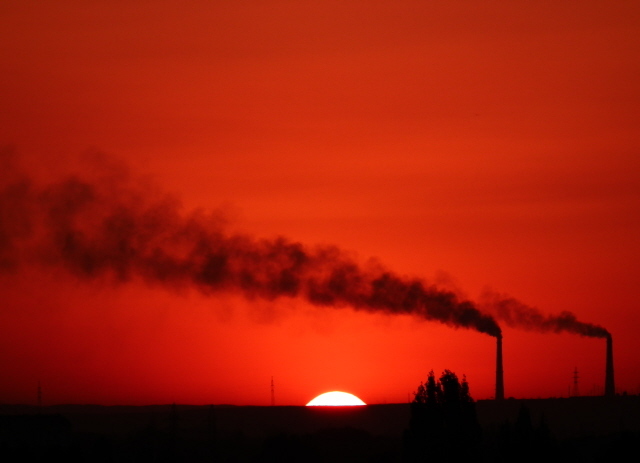 Access and costs: the easiest of all Kazakhstan, but not cheap. Details: Almaty still beats the new capital Astana in terms of the number of flight connections its international and domestic airport offers. In addition, train lines reach out in all directions, including to neighbouring countries and into other parts of Kazakhstan itself, including the country's only high-speed train, the Tulpar, which goes north overnight to Astana, via Karaganda (but fares are steep!). Within Almaty, there are only buses/trolleybuses or taxis (nothing has come yet of the plan to construct a metro)… but much of the city can be explored on foot, if you're halfway partial to city walking. This can be surprisingly pleasant in leafy Almaty too. The traffic, however, is heavy and noisy along the main streets. Orientation is helped by the regular grid layout of the city centre. The range of accommodation options is nowhere wider than in Almaty in the whole of Kazakhstan, including various luxury hotels (with prices that more than match the level of luxury) but also a good number of mid-range options. At the budget end of the scale the situation isn't so good, as is typical of Kazakhstan in general. Still, a couple of the mid-range hotels offer really excellent value for money (e.g. the Kazzhol on Gogol Street). For eating out choices, Almaty casts a wide net too, with the current Kazakh craze for sushi featuring especially. 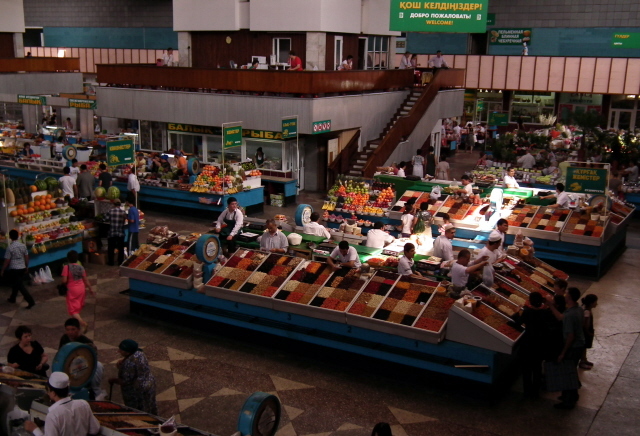 There are cheaper chain restaurant choices too – and those wanting to self-cater can find the widest range of food products in the many large supermarkets or specialist delis, where Almaty's cosmopolitan character is reflected too. 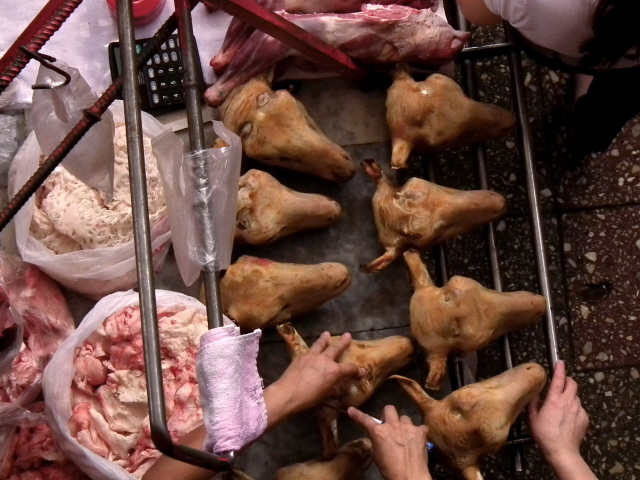 Prices for most things, however, are generally higher than in the rest of the country (except perhaps Astana). 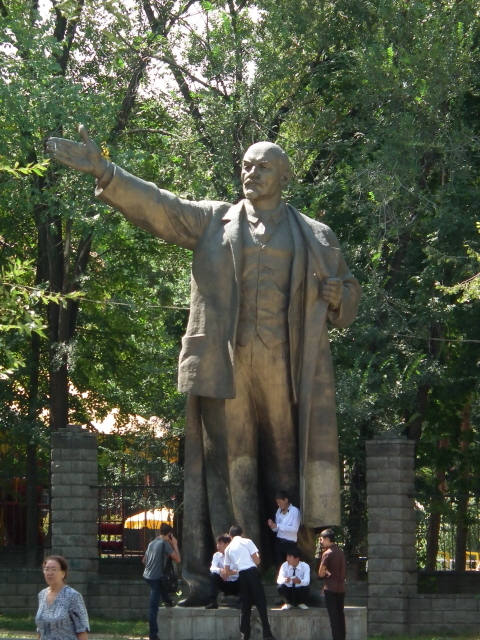 Time required: You can easily spend a couple of days or more in Almaty, although to see just those few points of vaguely dark tourist interest, as little as half a day might suffice (except if you want to make your way to those suburban Lenin statues as well). But the city deserves a little more time than that really. Combinations with other dark destinations: For some it may be thrilling to see the strange astronomical observatory gear at the GAISH & Kosmostantsiya stations high in the mountains south of Almaty. Especially at the former, some of the rusty equipment has a very sci-fi or James-Bond-film-like appearance, like massive stun guns directed at the heavens … To get there you'll need a four-wheel drive car that can make it up the mountain hairpin roads above Big Almaty Lake, and given the high altitude access may not be possible at all outside the summer months. Although otherwise there isn't really anything of dark interest near Almaty, the city is still a useful base from where to venture out to those prime exotic places in the south-west of Kazakhstan, namely Baikonur and Aralsk on the (ex-)Aral Sea. Both can be reached directly by train from Almaty – though the journeys are long (a full 36 hours to Aralsk, a few hours less to Baikonur). To speed things up you can also first get an internal flight from Almaty to the south-east Kazakh region's capital city Kyzylorda and proceed by train from there. In any case, you will have to plan trips to those areas well in advance and use an experienced specialist agent/tour operator (see under Kazakhstan in general, and under the respective individual entries). 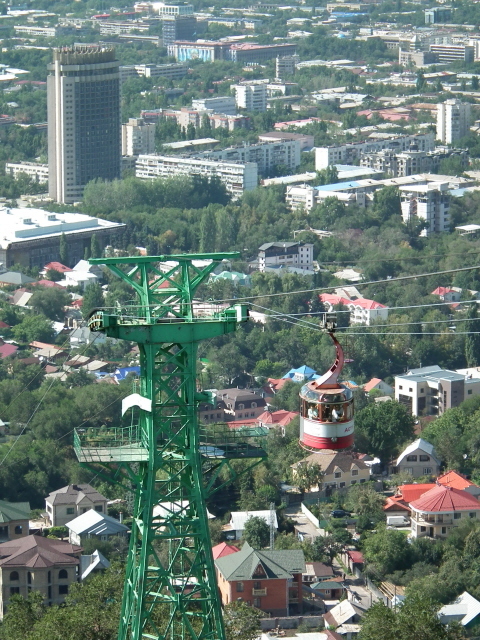 Combinations with non-dark destinations: Almaty itself has quite a lot of non-dark attractions to offer, including for instance the cable-car ride to Kok-Tobe Hill, from where you can enjoy views over the city and stock up on souvenirs at the various touristy shops. Excursions further afield range from easy day trips to scenic beauty spots such as the bluish-greenish Big Almaty Lake to longer forays into the mountains, e.g. to Charyn Canyon. Consult the various travel guides and agencies for more detailed information – including on Almaty's numerous mainstream museums and galleries. Here's simply not the place for going into such details.